Jamie here to share a Fall Gift using this month's spotlight set! 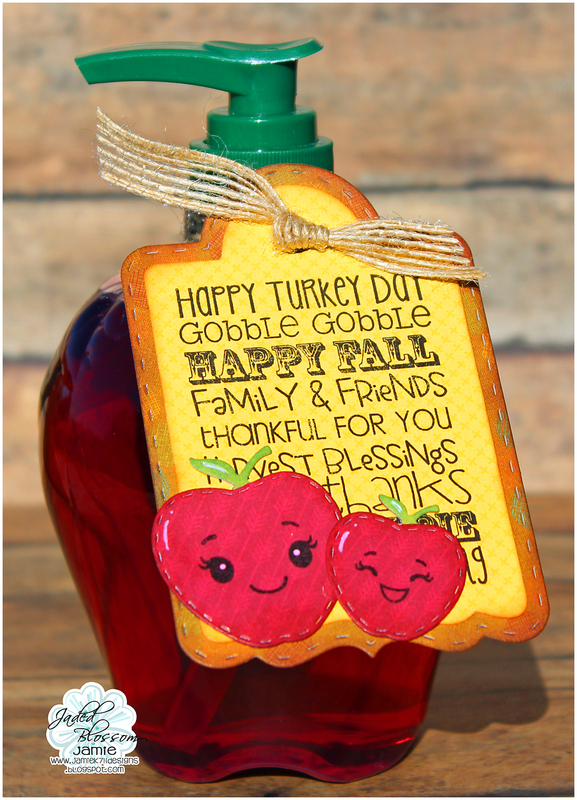 I created a cute tag using the fall Holiday Treat Tags on the Treat Tag Die. 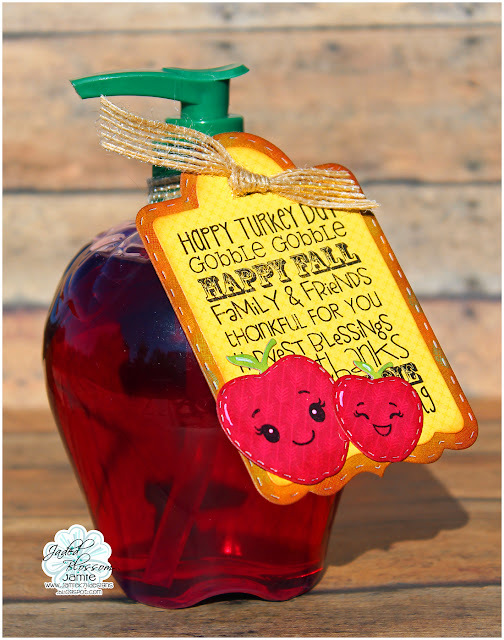 Then I added a couple of the apple dies from Fall Dies. I attached the tag onto the apple soap with some ribbon to finish it off.